As a part of the College’s Christian ethos and as a direct financial input received by the Australian Federal Government’s National School Chaplaincy Program Funding, the College has made available a Chaplain, who’s role along with the general staff, is to provide pastoral care, spiritual guidance and support for the general well-being of the students and families associated with the College. The College Chaplain currently is available two days a week to provide assistance. Please feel free to drop in and have a friendly chat. As College Chaplain, Alison Fretwell is well-equipped and experienced to provide spiritual support and oversight for our College. She can be contacted at the College on 02 4634 7474. We are dedicated to developing the whole student, and as part of our vision for achieving this outcome the College gives students opportunities to participate in overseas and local missions. MACC has taken student mission teams to South Africa, Mozambique and Townsville but more recently to Central Australia, Bali (Indonesia) and there have been ten trips to China. For 2017, trips are planned for Bali and China plus visits to local nursing homes. Hidden Treasures Home – Foster home to care for special needs children in China. Operation Christmas Child– Gift-filled shoeboxes for children at Christmas. Compassion Australia – Mission trip to visit child development project in Bali, Indonesia. 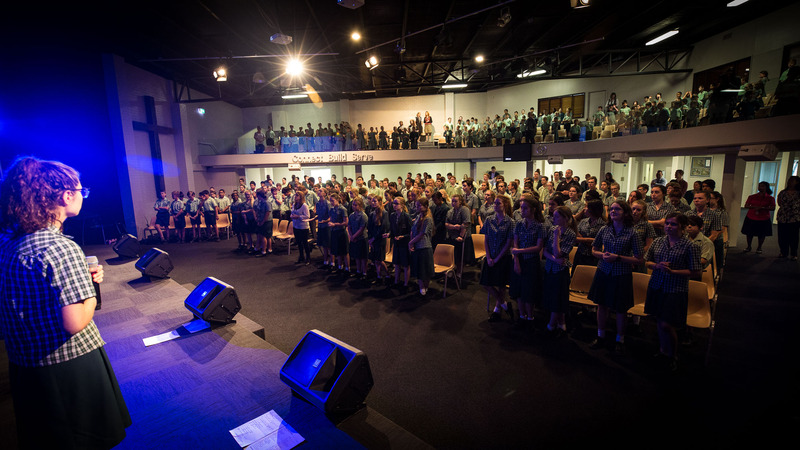 Chapel is a regular part of College life at Mount Annan Christian College with a time of worship, prayer and teaching. Chapel services are held in the C3 Church Mount Annan Auditorium which has a seating capacity of over 700 people and is located on the same site as the College. Parents are most welcome to attend College Chapel. Scheduled times of whole College Chapel will be advertised in the College newsletter MACCchat. Students have the opportunity and responsibility to lead and participate at many different levels in this vibrant and energetic area of College life.